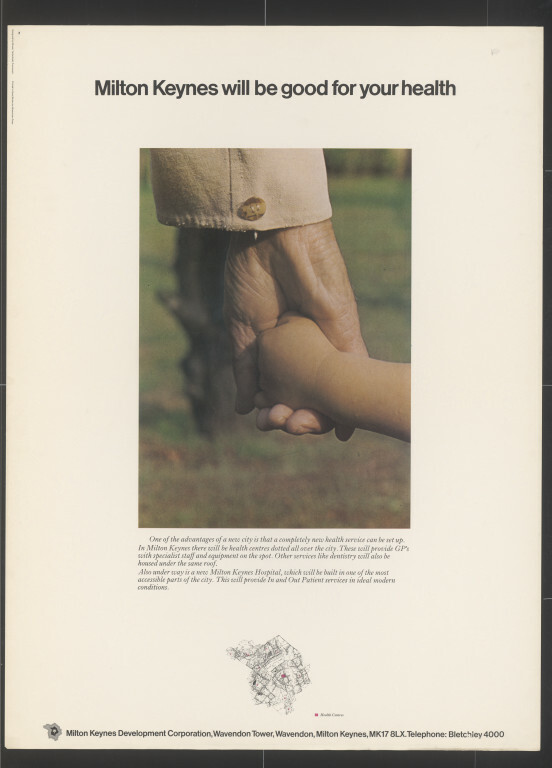 Poster featuring a close up photograph of a child's hand in an old man's hand, on a white background. At the bottom of the poster is a plan of the future Milton Keynes with health centres picked out in pink. 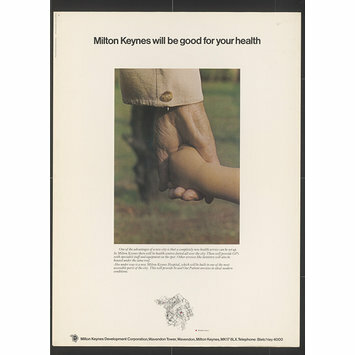 Poster, 'Milton Keynes will be good for your health', designed for the Milton Keynes Development Corporation by Minale, Tattersfield, Provinciali, Great Britain, 1973, colour offset lithograph.